Here is a quick follow-up to our post on China called Fresh signs of China's asset bubble. 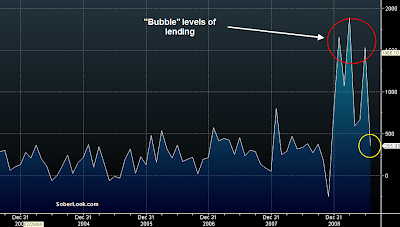 Looks like the Chinese government is taking this potential bubble issue quite seriously. They've been forcing banks to significantly cut lending to reduce all the liquidity making it's way through their economy, manifesting itself in asset inflation. People's Bank of China even issued a low yielding note and forced some banks to buy it to limit cash on their balance sheets. This reduction in liquidity is showing up in the stock market as well. 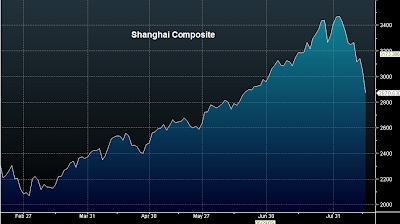 This was a timely and prudent move on China's behalf, as the asset bubble was clearly beginning to build. Let's see if they can maintain the discipline going forward.